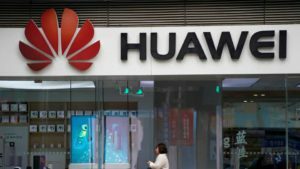 BEIJING – Huawei has said it is confident that Western countries will have to buy its products because of their competitiveness. This was revealed by the Chinese telecom giant’s Chief Executive Officer and founder Ren Zhengfei in an interview on Thursday. This comes a few days after a group of US legislators introduced bills that would ban the sale of US chips or other components to Huawei Technologies, ZTE or other Chinese telecommunications companies that US thinks violate America’s export control laws. “When you have superior products, there is no need to worry about buyers, and I have never worried about that,” Ren replied when asked about how to cope with some countries’ restrictions and bans on the company. People’s Daily reports that Ren said Huawei is the best in the area of 5G, and the only manufacturer in the world that is capable of equipping 5G base stations with the state-of-the-art microwave technology. This, he said, perfectly suits Western countries where scattered villas are ubiquitous and are in need of high-speed information services. “Of course they can choose not to buy our equipment, but that means they will have to pay much higher prices to build other network services,” Ren told media in another group interview on Thursday in China. Until last December, Huawei said it had secured more than 25 commercial contracts for 5G, the largest in the world, and has shipped more than 10,000 base stations for the fifth generation of mobile communications.